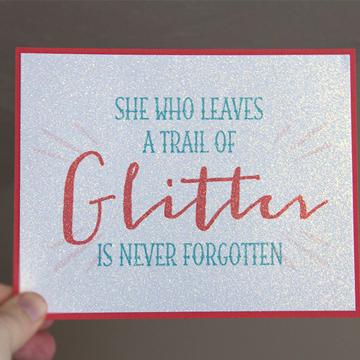 Remember when we showed you a few samples we created with Printable Glitter paper? In case you missed it, you can see that post here. 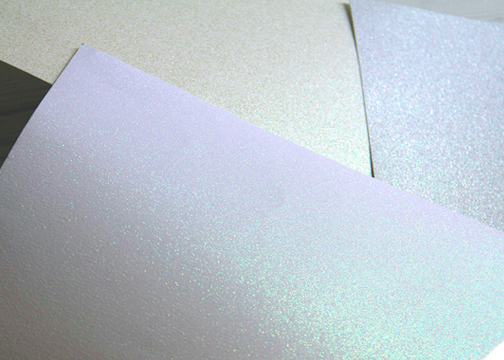 Well … we received such rave reviews that we have decided to add this amazing product to our line up of specialty papers; in white, silver and champagne. How exciting is this? 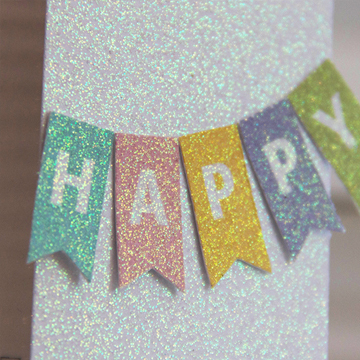 Glitter without the mess, so cool! Click here to purchase it on our website. 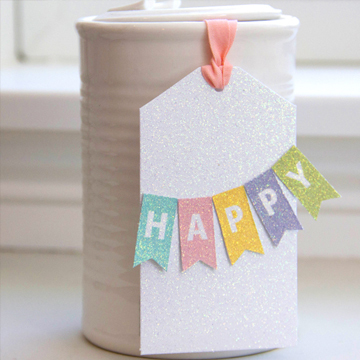 Ready for some cute project inspiration? We had a birthday to attend and needed a quick card. 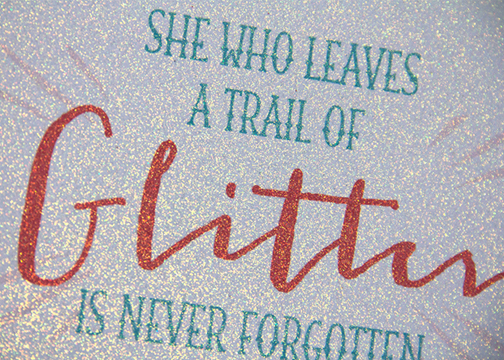 We designed a simple phrase and printed the design onto 1 sheet of white glitter paper. 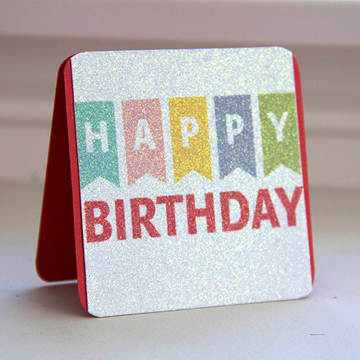 Once printed, we cut out and mounted onto a card base. The card turned out super cute. 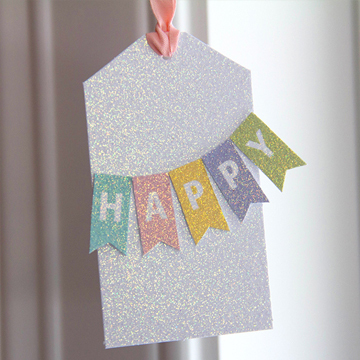 It was so quick and easy to make that we had time to create a matching gift tag. Viola! Done. Gift wrapped. Next we created a little word art for our craft room. Something fun to showcase on an inspiration board or frame it for more permanent art. If you are a maker, these are words to live by! 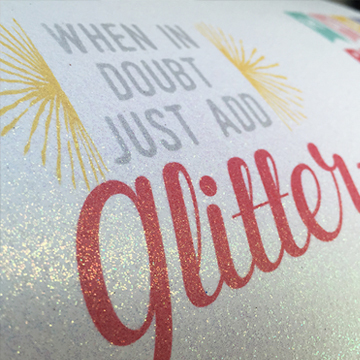 Did you know you can stamp and color on this Glitter paper? The results are amazing. 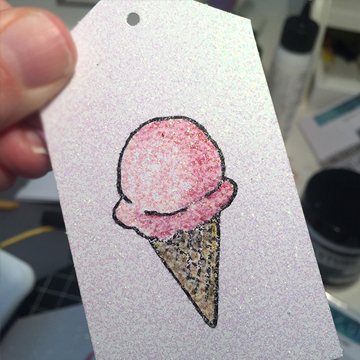 We stamped this ice cream cone with Momento ink and then colored with dye-based markers. Loving the results. This may look familiar. 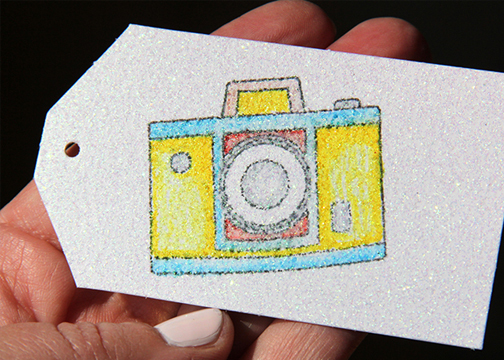 We showed you this stamped camera image when we posted about Chameleon markers. This stamped camera was colored with Chameleon markers, which are alcohol based. Both dye and alcohol based markers work great on this paper. 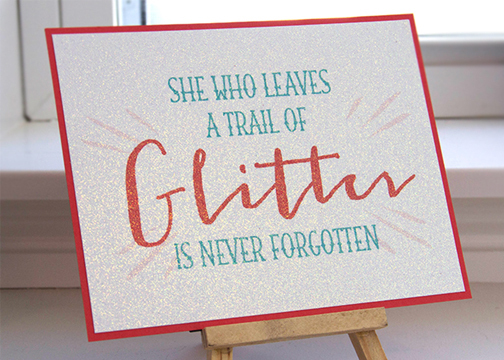 This entry was posted in Crafts & Kits, DIY Projects and tagged glitter, Glitter Paper, scrapbooking, stationery.